After college, for nearly a decade, I was involved in writing, directing and producing radio dramas, everything from short comedy sketches to full-length plays of all genres. While at U.C. Berkeley, I met producer Monica Sullivan, who was producing a weekly radio drama show (“Shoestring Radio Theatre”) at KALX-FM. I started submitting scripts and after hearing my first one produced, I was hooked. Over the years I became more and more involved in the all-volunteer, non-profit radio drama troupe, which began nationally syndicating its shows in 1993. I went on to write, direct and/or produce over 20 plays (30 to 90 minutes each) and 25 shorts. 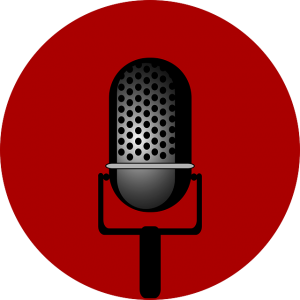 If you are interested in the details, you can view my complete Radio Drama Portfolio. In early 2000, I started working for an Internet startup and no longer had time to be regularly involved in Shoestring productions. However, I did manage to find the time to produce some audio comedy with my own side troupe, Crunchy Frog Comedy. You can listen to many of my “Shoestring Radio Theatre” and “Crunchy Frog Comedy” productions on the web, as described below. My full-length plays air periodically in rotation on Shoestring’s weekly and national broadcasts. The Listening Room page on the Shoestring web site has instructions for how to listen. You can listen to all of my Crunchy Frog Comedy productions on the Crunchy Frog Comedy web site.